Call for undergrad and recent grad applicants for Spring 2019 Lawndale internship program! undergraduate studio art degree programs, and recent graduates - within one year of graduation. Interns will report to Lawndale on a regular schedule for 6 months at 4912 Main Street. Due to the varied tasks associated with operating an art gallery, the following physical activities may be required: climbing, stooping, kneeling, reaching, pushing/pulling, and lifting (approx 20lbs). Interns will receive a stipend totaling $650. Únase a Fresh Arts y GONZO247 para un taller gratuito y una introducción al programa de Artist INC-HOUSTON. En el "Taller de What Works", compartiremos estudios de casos de artistas sobre "What Works / What Doesn't" para que los artistas participando en el taller crean carreras sostenibles y discutan los comportamientos comunes de los empresarios de artistas exitosos y los prepare para aplicarlo a su propia práctica artística. Los últimos 30 minutos del taller están dedicados a la audiencia, así que traiga sus preguntas. Los asistentes recibirán el libro de trabajo "What Works" que desafía a artistas comenzar a identificar sus metas y a elaborar un plan después del taller. Cocktails + networking: 6:15, Presentation begins at 6:45pm. DiverseWorks and Art League Houston are co-hosting a Creative Capital Award Info Session, at Art League, on Monday, December 17 at 7 pm. Learn how artists can apply for Creative Capital funding of up to $50,000 for innovative project ideas, plus receive career development and advisory services valued at an additional $50,000. Creative Capital staff will present an overview of their program and answer questions about the application process, the type of work they support, and how to apply. The session is free and open to the public—artists in all disciplines are encouraged to attend. The next application round opens on February 1, 2019. Creative Capital was founded on the belief that artists are exceptional innovators and thought leaders who, with the proper financial and advisory support, can change the world. Their pioneering venture philanthropy approach helps artists working in all disciplines realize their visions and build sustainable practices. Since 1999, Creative Capital has committed $40 million in financial and advisory support to 511 projects representing 642 groundbreaking artists. It is a privilege to invite you to participate at the 5th Annual Jamerson Art Exhibition by buying an exhibition stall, each stall costs $20,000 and an usher will be assigned to you for the duration of the Exhibition. This event will be held at 11503 Gladefield Drive Houston, texas 77099, from the 23rd to the 24th of June 2018. The exhibit will begin at 10:00 am and end at 5:00 each day. We at Jamerson's Arts would appreciate your participation and with your participation We Will Hold A Fundraiser for the Kids to Receive school supplies. Please share and invite your friends and family with you . *Fun Art Specials This weekend. TALA, in partnership with Fresh Arts, will offer a free legal clinic for artists and arts-related nonprofit organizations who meet income eligibility guidelines and have legal questions related to the creative sector. Musicians, artists, and representatives of arts nonprofit organizations will be provided up to 30 minutes consultation with a legal professional. This one-on-one legal clinic will give participants the opportunity to gain valuable advice on music and art-related issues. All disciplines are welcome to participate; however, legal issues and questions must be related to work in the creative fields. Consultation spots are limited. Clinic registration will close when all appointment times are filled. Please pre-register for the clinic by submitting the questionnaire below to ensure proper attorney staffing. You will be provided an appointment arrival time via email a few days before the event. Appointments will be scheduled at 6:30, 7:00, 7:30, or 8:00. Please plan to arrive on time. Texas Accountants and Lawyers for the Arts (TALA) was formed in 1979 to help meet the legal and accounting needs of artists and arts nonprofits across the State of Texas. TALA volunteers throughout the state handle more than 300 matters per year. Attorneys and accountants volunteer their time, assisting in legal and accounting matters that might otherwise remain unresolved and unrepresented. Fresh Arts is a 501(c)3 organization dedicated to strengthening the sustainability and vibrancy of Houston's arts sector by bolstering the capacity and professional practice of artists and arts organizations and enhancing the public's engagement with the arts. Free with RSVP at harveyartsrecovery.org, click "Upcoming Event"
Individual artists (writers, dancers, filmmakers, musicians, actors, visual artists, etc.) and staff of arts, culture, preservation and historical organizations impacted by Harvey: You're not alone. This Knowledge Share hosted by the Harvey Arts Recovery Fund offers resources to help you get back to business. Hear from leaders in the arts about their experience and knowledge on the subject of disaster recovery. Artists who have lived and learned how to come out on top after experiencing a natural disaster share their stories. Amy Schwartzman has been working at the intersection of arts and disaster management since 2001, when she served as the Information Officer of the New York Arts Recovery Fund, created to help NYC’s artists and arts organizations recover from 9/11. While there, she authored two guidebooks developed by the NYC Arts Coalition, one geared toward artists, the other toward nonprofit organizations, about how to negotiate the response and recovery resources that had arisen. In 2007, she was hired by the National Coalition for Arts’ Preparedness and Emergency Response (NCAPER) to draft a Blueprint for a nationwide disaster safety net for artists and arts organizations. Her work for NCAPER includes principal authorship of “The Cultural Placekeeping Guide” (2017) and “Essential Guidelines for Arts Responders Organizing in the Aftermath of Disaster” (2011). After Superstorm Sandy, Amy served as the Community Planner for artists and arts organizations within the Natural and Cultural Resource Recovery section of FEMA’s New York Sandy Recovery Office. 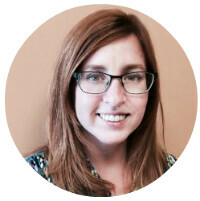 She is currently a consultant to PAR, the Performing Arts Readiness project. Amy previously was a dancer, choreographer and sometime director and actress, working with Meredith Monk, Blondell Cummings, Alyson Pou and The Kings County Shakespeare Company. Sanford Hirsch is the Executive Director of the Adolph and Esther Gottlieb Foundation, New York. The Foundation, which has been operating since 1976, offers grants to individual visual artists through an annual Individual Support Grant and through an Emergency Grant program that assists visual artists in cases of catastrophic events. The Foundation also maintains an archive on the art and life of Adolph Gottlieb and organizes exhibitions of his art and that of others. Amelia Brown, is a writer, speaker, artist and consultant with more than 20 years of community development experience spanning four continents. She earned a self-designed master's degree from the University of Minnesota integrating arts, emergency management, and community development. She has recently written a series of articles focused on crisis and creativity featured on Springboard for the Arts Creative Exchange, presented the role of arts in disaster recovery at the 2015 International Award for Public Art, Cities of Climate Change Conference in Auckland, New Zealand, and coordinated commemoration events for the 10th Anniversary of Hurricane Katrina in New Orleans, Louisiana. She is the founder of Emergency Arts, a central resource dedicated to building a cross-sector network, strengthening community resilience, and advancing arts as integral to emergency management. Galveston jewelry artist, Diane Falkenhagen, is best known for her fabricated, mixed media compositions that often combine characteristic pictorial imagery with fabricated metal forms and a diverse range of art media. Her work is an unconventional marriage of material and content that references myriad interests including: memory, figuration, romanticism, historical ornament and art history. Aside from her one-of-a-kind art jewelry, Diane periodically lectures and leads special workshops around the country and has taught in various college and university programs. She received her B.F.A. from the University of North Texas and an M.F.A. from the University of Houston. In 2008 Diane received a CERF+ Emergency Grant and CERF+ Emergency Recovery Loan after Hurricane Ike inundated her West Galveston island studio with five feet of seawater. CERF, MusicCares, and Harvey Arts Recovery. To RSVP go to harveyartsrecovery.org and click on "Upcoming Event." Do you make artwork but have trouble knowing what to do with it afterward? Are you interested in selling you artwork but you don't quite know how to put it on the market? Join Fresh Arts and successful full-time artist Taft McWhorter to learn practical tips on how to move art-making out of the corners of your life, and safely put it front and center. Taft will help you create realistic timelines and budgets, give you insight into building a collector base, and discuss real world ways to begin building a sustainable career as an independent visual artist. NOTE: Though this workshop is primarily geared to visual artists, the advice is useful for almost any creative person looking to improve their professional practice. **LATE FEES NOW APPLY. WALK-INS WELCOME AT THE DOOR. Want 50% off all of Fresh Arts workshops + events and access to other local discounts and members' only opportunities? Become a Fresh Arts member! For more information about becoming a Fresh Arts member, visit our Membership page. 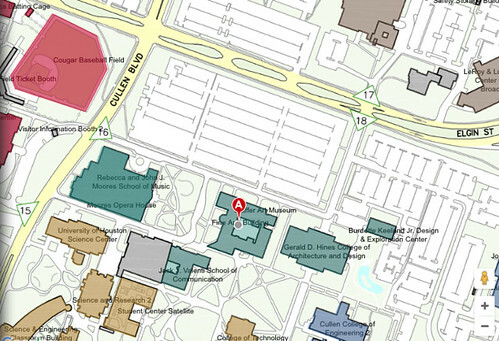 Take entrance #16 off Cullen Blvd or entrance #18 off Elgin. **There is a fee to park. Please allow ample time for parking. Taft McWhorter has been selling his contemporary art in Houston for over nine years, amassing a dedicated group of over 400 local and international collectors. His work is displayed in many private and public collections, including fine restaurants and corporate settings. McWhorter has a private studio at Winter Street Studios located in the Washington Arts District of Houston and is represented by Ariodante Gallery in New Orleans, Esperson Gallery in Houston, and Evan Lurie Gallery in Indianapolis. 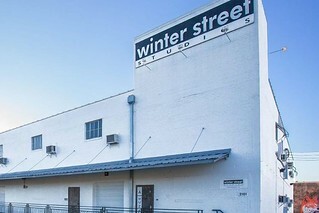 Located inside the Washington Avenue Arts District, Fresh Arts is a 501(c)3 organization dedicated to strengthening the sustainability and vibrancy of Houston's arts sector by bolstering the capacity and professional practice of artists and arts organizations and enhancing the public's engagement with the arts. Fresh Arts is committed to the growth of a thriving, innovative, and diverse arts sector in Houston and towards that end, provides programming and services in the arenas of professional development training, resource aggregation, showcasing, community building, and audience development. We are a help-desk and small business development center, as well as an advocate, intermediary, and support network for Houston's creative community. Early registration ends Thurs., April 27 at 4pm. Fees double at the door. Fresh Arts members and University of Houston students receive 50% off general admission price. Got a great creative idea but you need a little support to get it off the ground? Fundraising can be overwhelming, but getting the money for your upcoming art project may be simpler than you think. 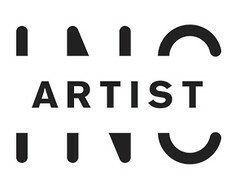 Join Fresh Arts and Susannah Mitchell, arts fundraising powerhouse and Executive Director of the Washington Avenue Arts District, for an overview workshop on strategies and resources for individual artists seeking funds to support their professional art career. * securing individual contributions and institutional support. * case studies of how local artists have successfully raised money for their projects. Specifics on grant-writing and crafting project proposals will NOT be covered in this workshop, but is covered in Fresh Arts’ 2017 workshop series. This workshop is hosted in partnership with the Center for Art and Social Engagement at University of Houston. UH Students are eligible for workshop discounts. See below. Susannah Parnin Mitchell earned her bachelor’s degrees from North Carolina State University in Art and Design and in Political Theory. She has since accumulated over a decade of experience in gallery management and arts administration. In the DC area she worked with organizations such as the Torpedo Factory Art Center in Alexandria, VA and served as the founding director at Art Whino Gallery, a large, international urban contemporary space in DC. In 2010, Susannah returned to academia and earned her Master of Business Administration from the University of New Hampshire. After business school she entered the fast paced and cutting edge world of web design, managing creative projects for clients such as GE Health, Keurig, Samsung, and her favorite, the Sterling and Francine Clark Art Institute. Now, settled in Houston, Susannah manages events and programming for Silver Street Studios, and is helping to develop cultural programming across the full Sawyer Yards Creative Campus. She also serves as Director for the newly designated Washington Avenue Arts District, a State recognized cultural district that is home to the highest concentration of working artists in Texas. As the leader of this budding organization, she works to preserve, promote and progress the area’s special creative offerings through special art activation and beautification projects. The Washington Avenue Arts District is a state recognized cultural district in Houston, TX. Already, the District is home to several converted warehouse studio buildings which house over 300 studios of artists and creative entrepreneurs, as well as vast amounts of exhibition and event space. Because of this unique congregation of creative space, the District boasts what is believed to be the highest concentration of working artists in all of Texas! 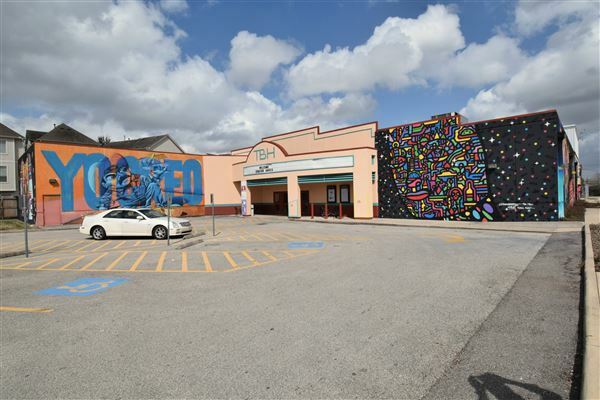 The area is also home to many individual artists’ residences, studios, and arts-focused institutions such as Crockett Elementary, an award winning fine arts school and MECA, a multicultural arts education center. The Washington Avenue Arts District is a 501c3 non-profit organization led by Executive Director Susannah Parnin Mitchell. Major past projects include the 2014 painting of the Spring Street Bike Path and SITE Houston. The Washington Avenue Arts District mission is to preserve, promote and progress the District’s special creative offerings and to bolster the image of the area as destination for arts and culture. Fresh Arts is committed to the growth of a thriving, innovative, and diverse arts sector in Houston. Early registration ends Thurs., March 30 at 4pm. Fees double at the door. Fresh Arts members and University of Houston students receive 50% off general admission price.